The Google Local Pack is something anyone who searches for local services will be familiar with. It includes organic results from search queries that are locally orientated. The results contain contact information including a phone number, address, opening hours, a website address and directions. 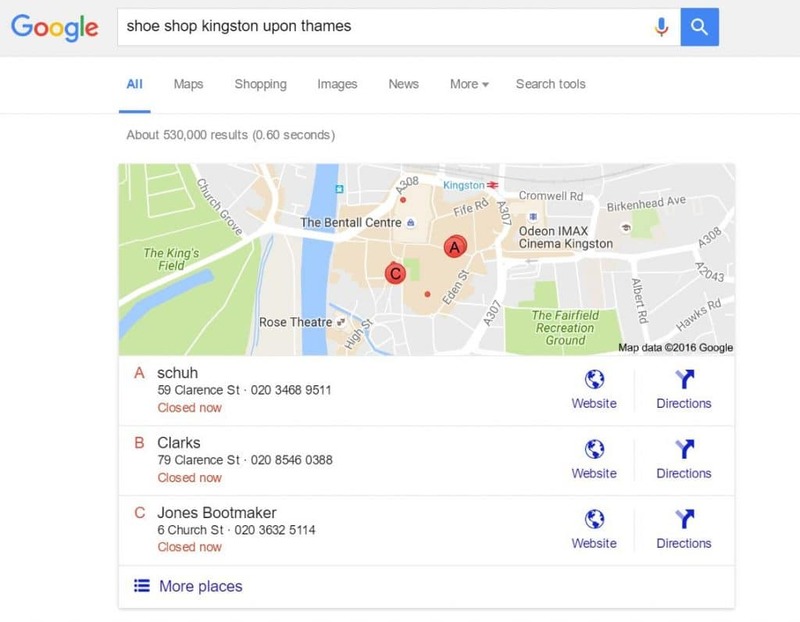 About a year ago, Google updated Local Pack search results so that only three businesses were displayed rather than the seven that previously showed. To see beyond these three results you now have to click the ‘more results’ link. This means that businesses now face even more of a challenge to get instant recognition in local search. And if that wasn’t enough of a challenge, now it transpires that soon, one of the three results in the Local Pack will be an advert. Here’s what it might look like, according to Search Engine Roundtable. Google has revealed that 50 per cent of mobile users searching for a local business went on to visit a physical store within 24 hours. 34 per cent of tablet and desktop PC users did the same. 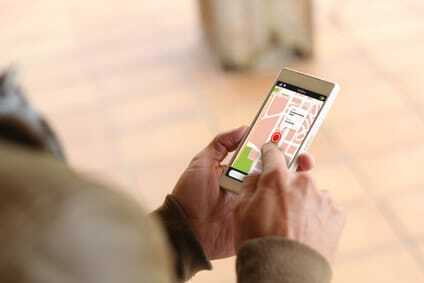 And according to a study by comScore, 78 per cent of local mobile searches lead to in-store purchases. 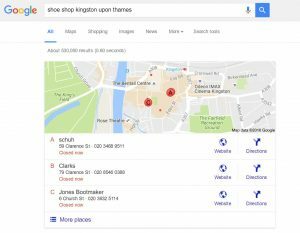 How do you get the competitive edge in local search now that the pressure is well and truly on? So the key question is, how do you get the competitive edge in local search now that the pressure is well and truly on? There are two solutions. Your aim is to achieve one of the two spots in the organic Google Pack listings. There are a few initiatives that will help you do this. Firstly, always make sure that your business name, address and phone number are displayed on your website, social media platforms, directory entries and anywhere else you are listed online. This information will be picked up by Google. Ensure the telephone number you use has the relevant local prefix so that it corresponds with your location. Secondly, make sure your business location appears in your ‘meta data’ – that means your page titles, headings, URLs and alt text for your images. Next up, put some effort into getting people to talk about your business online. This could be via reviews, testimonials or mentions on blogs or social media for example. 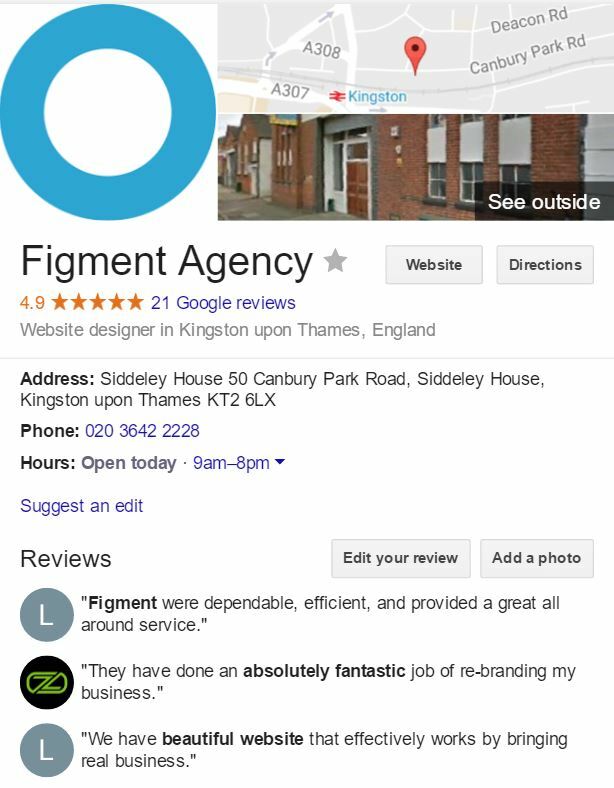 And finally, saving the best and most important till last, get yourself a Google My Business page. Your Google My Business page is very important. It feeds into Google Maps, so without it you are not going to show up on any local map listings, and Google will return these for most local search queries. If you already have a Google My Business page, make a point of ensuring it is up to date and DEFINITELY make sure it’s verified. Again make sure the telephone number you use is local and corresponds with the one displayed on your website. Be specific when choosing categories. Anything generic is going to be far too competitive. So for example instead of ‘shoe shop’, go for ‘ladies shoe shop’ or ‘men’s shoe shop’. Upload good quality, relevant images of your business, staff and customers to your page and keep it updated with fresh content. A paid campaign with Google AdWords will get you that sponsored spot in the Local Pack. Unfortunately, however, it is not as straightforward as simply paying a fee and claiming the listing. If you’re going to go down the AdWords route, you’ll need to know what you are doing. But having said that, it can be well worth the investment in either your own time, or professional assistance from a qualified Google Partner who can make sure you get the most out of your advertising budget. The Local Pack advertising option is not yet available, but it won’t be long so it is worth gearing up in advance. If you offer local services, a top position in the Local Pack is crucial. However this is achieved – whether organically or via the paid-for route when it becomes available – the fact is, your business needs it in order to be competitive. Need some help with organic SEO or Google AdWords? Ask Figment!